It's no secret Atlantans love their doubles. We love playing doubles and enjoy watching it as ATP World Tour doubles has always been well supported in Atlanta. 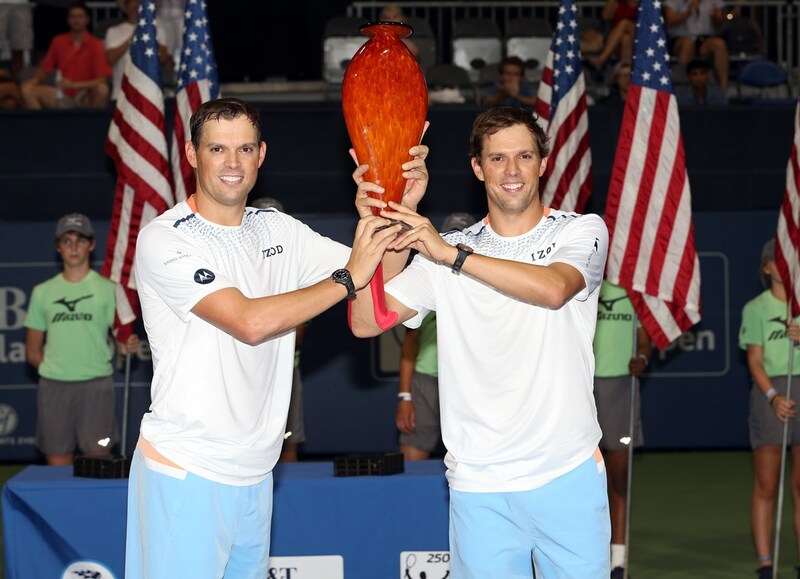 The most decorated doubles team of all-time, Bob and Mike Bryan, return to Atlanta seeking yet another title to add to their resume. Get your tickets beginning March 28 and watch these Americans play their exciting brand of doubles and no doubt there will be some chest bumps thrown in for good measure during their debut match scheduled for Tuesday evening, July 22! View a message from Mike and Bob!